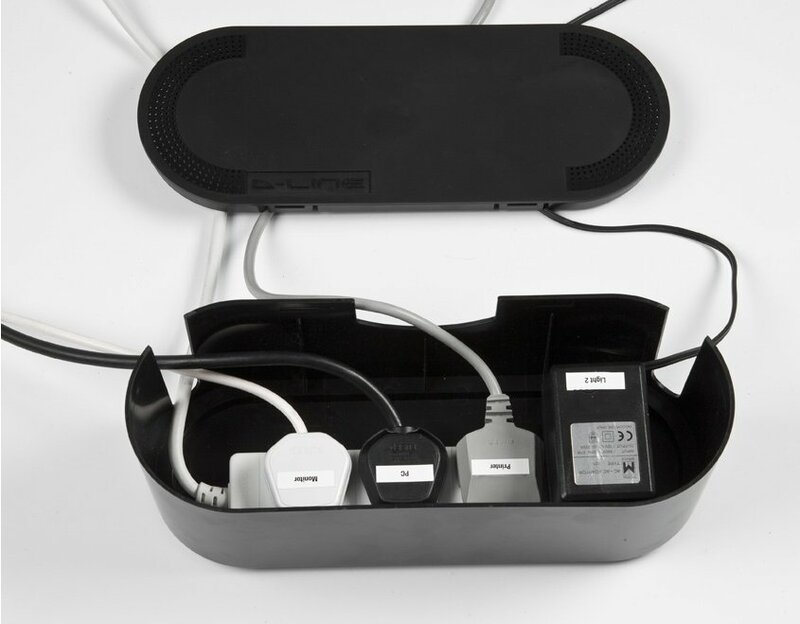 The D-Line Cable Tidy units neatly hide socket extension blocks and cable clutter. Ideal for offices and home, the units are designed to provide a stylish solution that blends with decor. 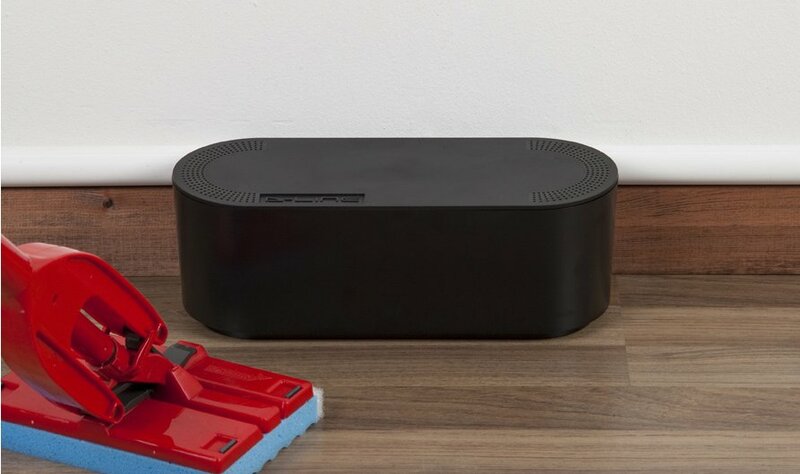 With all the cables neatly concealed, wasted space is returned and surfaces become easier to clean. A safety trip hazard is eliminated also. The Cable Tidy unit comes in two sizes, small and large, both sizes allow for the height of popular transformer plugs. Simply insert the cable clutter into the Cable Tidy unit, next direct the cables to go left, right or upwardusing the three exit slots, then attach the click-lock lid. 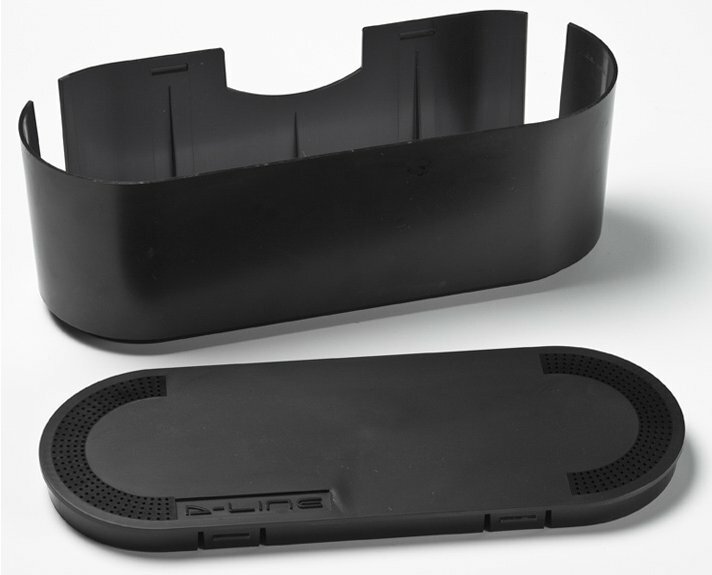 Designed with curved ends and a polished feature on lid, D-Line Cable Tidy units fit naturally with modern appliances and a re ideal for example to hide wires behind TV's, or from gaming equipment, and on (or below) computer desks.